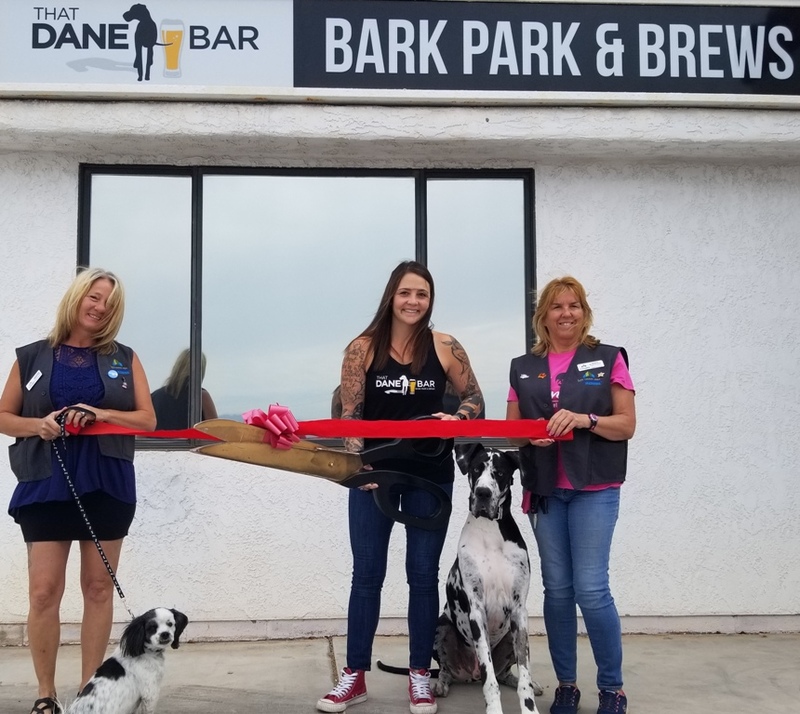 The Lake Havasu Area Chamber Ambassadors celebrated the new Chamber membership and Grand Opening for That Dane Bar with a ribbon cutting ceremony at 2213 W Acoma Blvd #100. 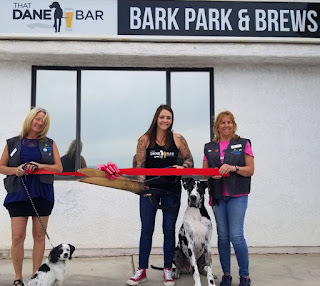 That Dane Bar offers a dog park and bar serving beer and wine for patrons and their dogs. It is not required to bring your dog to visit That Dane Bar, but all clients should like dogs. It is a 21+ establishment. Attending the ceremony from left to right were Jennifer Whetten, Buddy, Lisa Benz-Owner/Operator, Rogue-Business “Paw”tner and Janina Robertson.